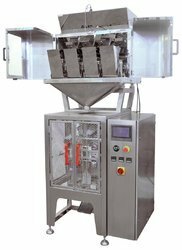 Leading Manufacturer of automatic granule pouch packing machine, masala powder packing machine, semi automatic pouch packing machine, snacks packing machine, four head weigher packing machine and pouch packing machine from Ahmedabad. 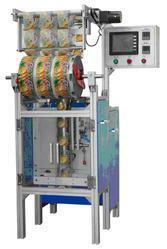 We hold expertise in offering our valued customers with an extensive assortment of Pouch Packing Machine. Manufactured using the superior quality raw materials, these are also customized in accordance to the specifications mentioned by the customers. Our customers are highly appreciate the product output because of their performance and quality. 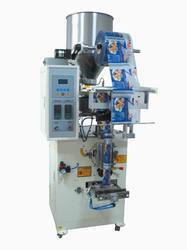 Backed by profound industry experience, we are offering a range of Automatic PouchPackaging Machines. Manufactured using excellent quality raw material, all our products are extensively used for packing pouches. The products we offer are extensively acclaimed in the market for their features like low maintenance cost and easy installation. Moreover, for meeting the specific needs of the individual clients, we can also provide custom-built version of machines. 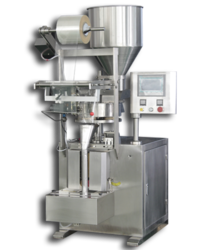 Our esteemed clients can avail a wide range of supreme quality Automatic PouchPackaging Machines from us, as per their specific demand. 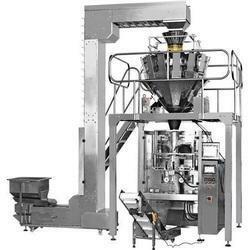 These machines are made available to the clients in a variety of technical specifications, in order to meet their specific demands in an efficient manner. We also check these products on certain well-defined parameters to gauge their flawlessness. Packing Accuracy (Gm) 1 to 2 Gm. 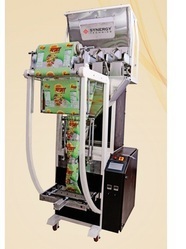 Backed by profound industry experience, we are offering a range of Automatic Pouch Packaging Machines. Manufactured using excellent quality raw material, all our products are extensively used for packing pouches. The products we offer are extensively acclaimed in the market for their features like low maintenance cost and easy installation. Moreover, for meeting the specific needs of the individual clients, we can also provide custom-built version of machines. Hopper Capacity (Kg) Up to 30 Kg. Up to 30 Kg. Up to 30 Kg. Up to 30 Kg. Packing Accuracy (Gm) 1 to 2 Gm. 1 to 2 Gm. 1 to 2 Gm. 1 to 2 Gm. Packing Accuracy (Gm) 1 to 2 Gm. 1 to 2 Gm.